Blue’s ArtHouse is honored to work with many non-profit organizations that are accomplishing great work in the St. Louis area. 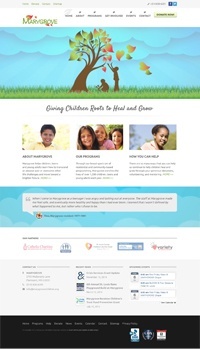 This website redesign is for another amazing organization that we’ve been working with for almost a decade. Marygrove provides quality mental health services to children, young adults and their families who are economically disadvantaged. Marygrove helps children, teens and young adults learn how to transcend an abusive past or overcome other life challenges and move toward a brighter future.